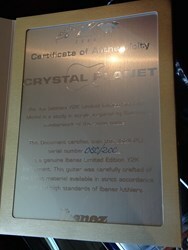 Ibanez JS 2K Crystal Planet Joe Satriani Limited Edition of 200! 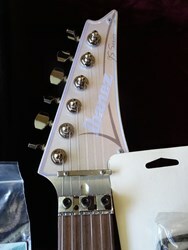 > Ibanez JS 2K Crystal Planet Joe Satriani Limited Edition of 200! 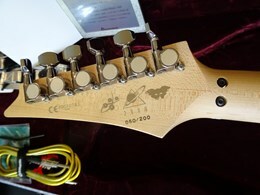 Nice collector guitar in excellent condition. 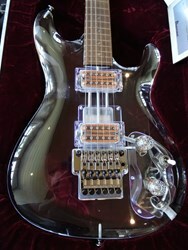 JS2K-PLT Joe Satriani Limited Crystal Planet Millennium Edition, made in the year 2000 in Japan together with the legendary Ibanez DNA. 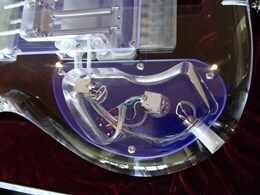 The Crystal Planet is made as a Limited Edition of 200 guitars worldwide. 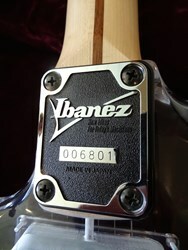 Unique looks and tone, sparkly crystal clean and nice crunchy gain for those classic Satch riffs. 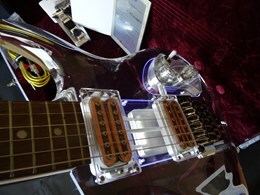 The guitar is very heavy and made from Acrylic material. 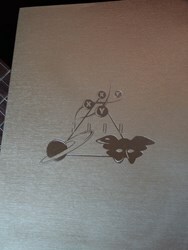 Including the original silver Anniversary case, strap, cable and Certficate of Authenticity (COA).